Please call (708) 424-9200 ex. 123 to report rodent activity. Seasonal pests and vermin can spread disease. Regardless of the time of year, residents can discourage animals and/or insects from feeding and breeding by eliminating environmental opportunities. Blocking up cracks and openings in buildings during both the warm and cold seasons, securing trash and food sources year around and elimination of water collection during the summer can help keep populations of unwanted creatures under control. 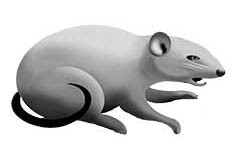 Please call 708-424-9200 ext 123 if you notice any rodent activity.